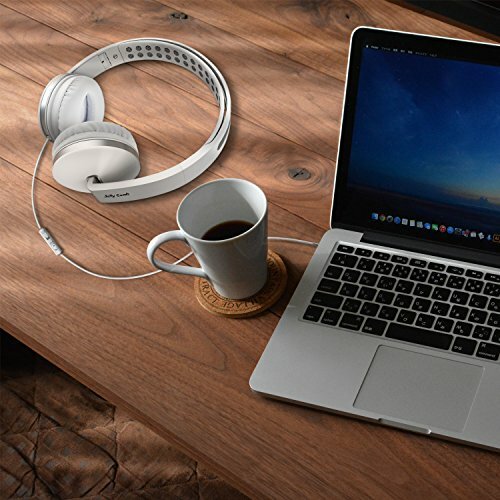 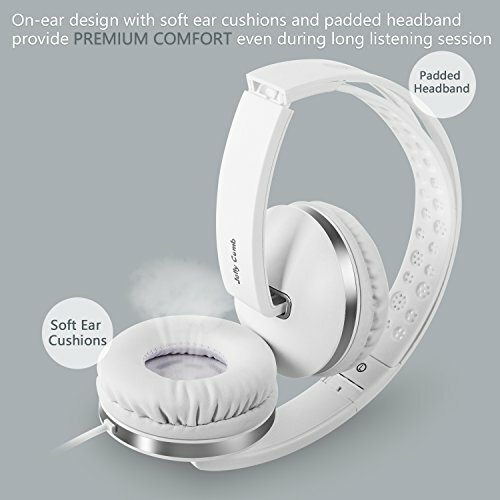 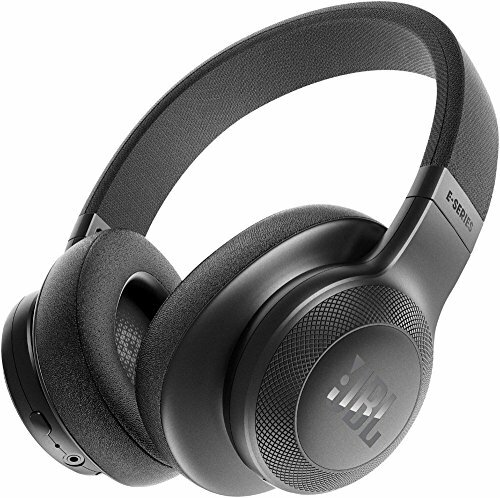 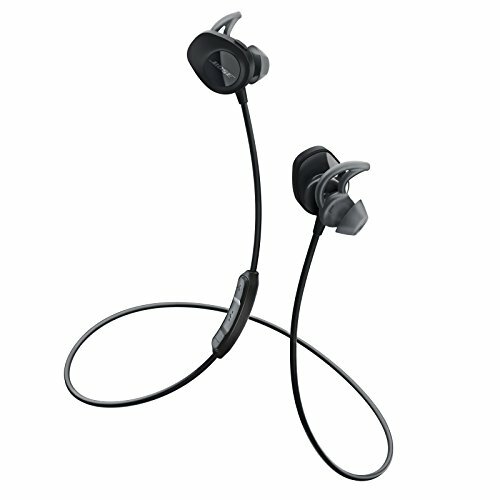 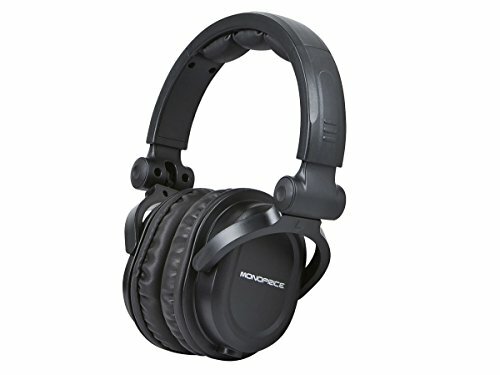 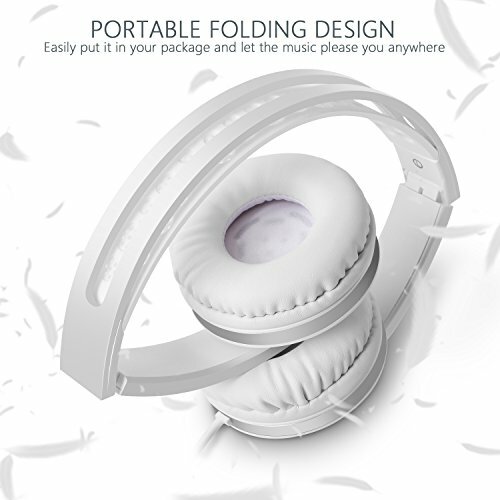 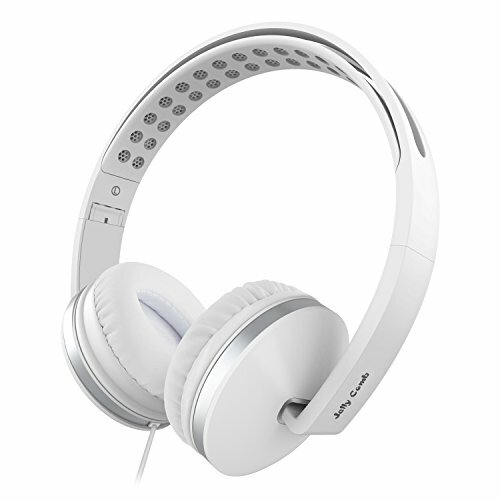 The on-ear headphones, designed with stretchable headband and soft leather earmuffs, fit perfectly and securely on your head, which you can wear all day without any discomfort. 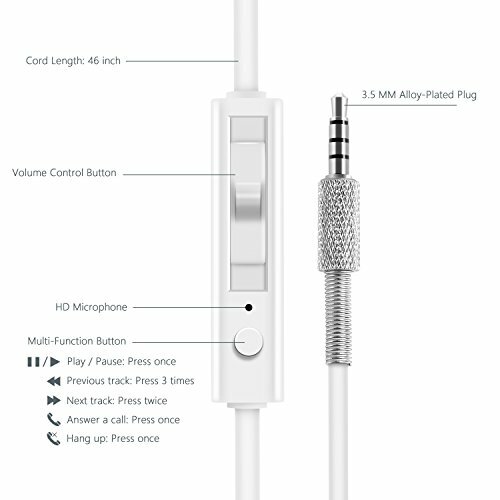 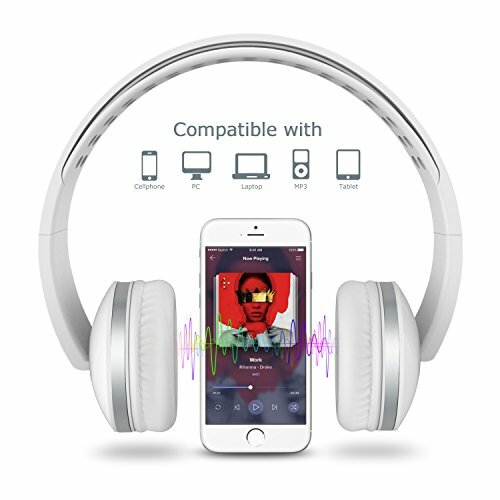 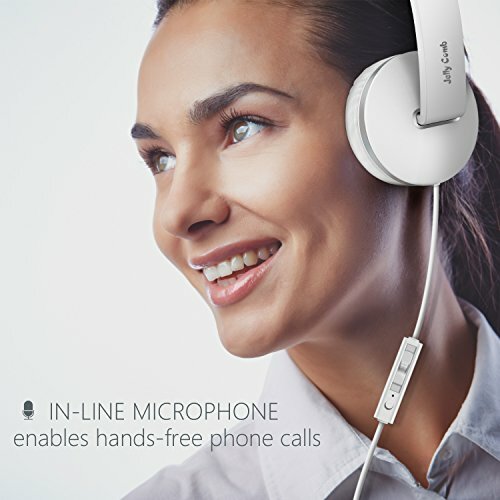 Unique in-line control design makes it easy to adjust the volume, enjoy music and chat with your friends. 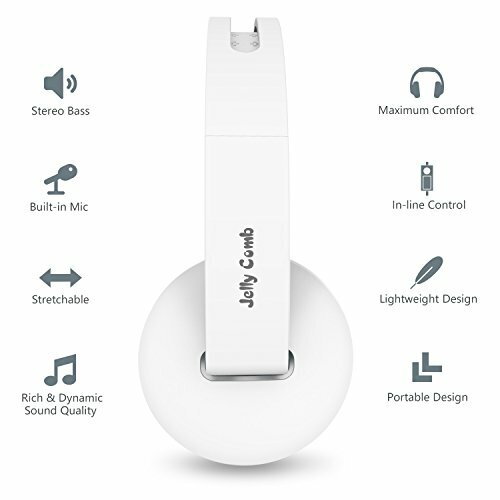 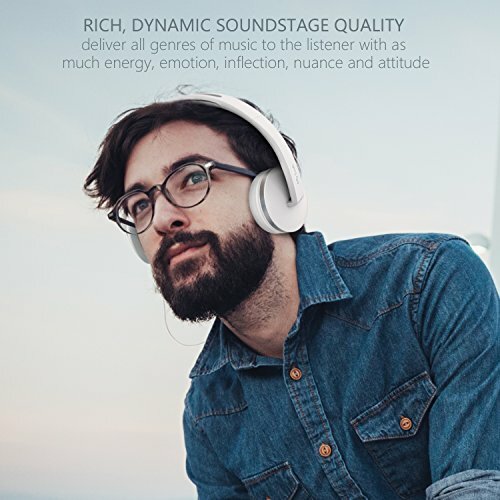 Stereo bass sound provides you the superior audio experience.PREMIUM COMFORT ON-EAR HEADPHONES: Comfortable on-ear lightweight design along with soft ear cushions and adjustable padded headband provide premium comfort even during long listening sessions.